This year for its 15th anniversary, “City of Lights, City of Angels,” a week of French film premieres in Hollywood, boasts screenings of 60 films, including 34 features and 26 shorts (for which the French are duly famous), at the Directors Guild of America. With the exception of COL-COA Classics screening in the early afternoons, the films being shown from April 11-18, 2011 are recently or yet-to-be released in France and still new for Californians. In the interest of engaging a new generation of foreign film viewers in Los Angeles, COL-COA High School Screenings and Master Classes will open their doors to 3,400 students during the week through educational programs offered in association with ELMA (European Languages and Movies in America). 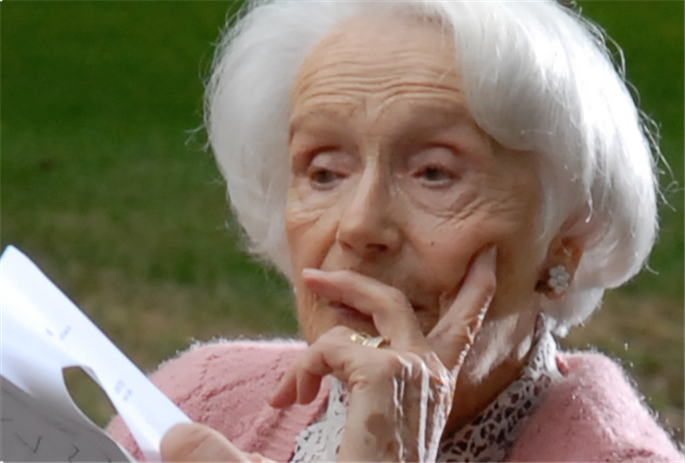 One highlight of the festival’s main program, My Afternoons with Margueritte, written and directed by Jean Becker, reminds viewers quite charmingly and explicitly of the value of a cultural education. 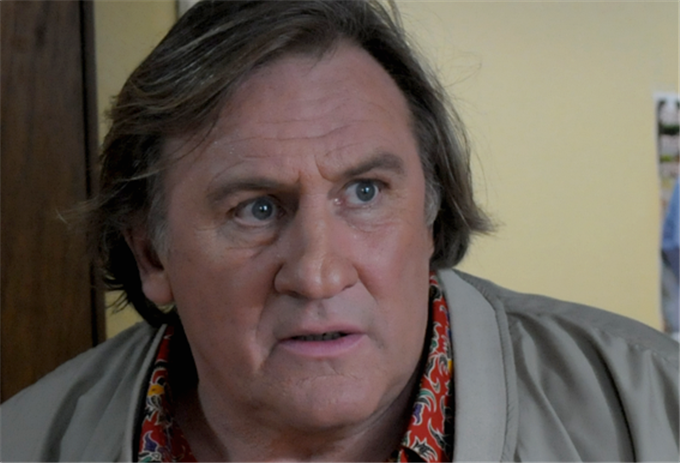 As the film opens in a village where people still call out hello to each other on the street, Germain (a portly and amiable Gérard Depardieu) has just been cheated out of two hours of pay for one of his odd jobs, and as if to compensate at the first opportunity, he stops at the war memorial in the town square to write his name beneath the deceased veterans listed. Why not recognize the living? All Germain wants is a little respect, but too many in the town find him dim-witted and make use of him for their jokes. True enough, they also come to him for help — with a dejected friend who’s suicidal after his wife died or the wretched, mentally detached lady next door to his trailer who happens to be his mother. Flashbacks show that she brought him up alone after attacking his could-be father with a pitchfork. All she has bestowed upon her son is brow-beating and name-calling. “I didn’t choose her. She didn’t choose me,” Germain tells his crony. The schoolmaster extended him no more kindness, mocking him when he couldn’t read properly in class. Anyone who recalls Depardieu’s Cyrano in the film adaptation of Rostand’s play will delight in the reversal of his role here. 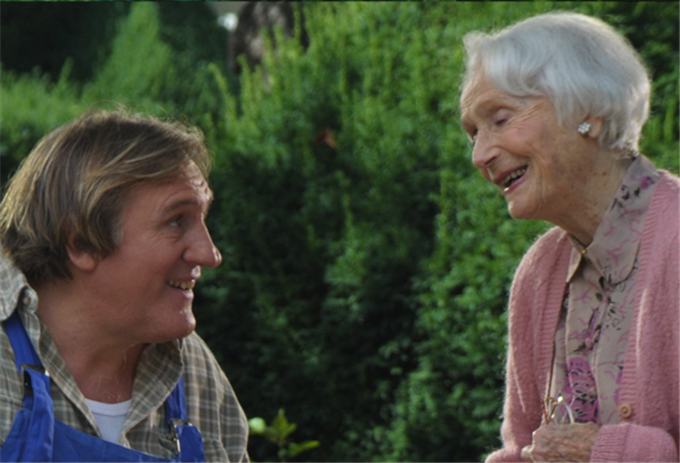 In My Afternoons with Margueritte, Depardieu is the one at a loss for words, and it’s a little old lady (Gisèle Casadesus), “dressed like a posy,” frail as a dandelion puff, who shows him what a vehicle words can be. This odd couple meets sharing a park bench, his billowy body bound loosely by overalls and her wren-like figure wrapped in spring floral attire as if to camouflage the white heron of her interior persona. She’s elderly enough to be his granny, just as his luscious, dewy-eyed girlfriend looks young enough to be his grand-daughter. But in this pastoral tale of pure hearts in which two people can meet counting pigeons, age is beside the point. What matters, although it only hangs in the wings, is that both of these kind female souls offer Germain a motherly affection he can only begin to recognize. In each rendezvous Margueritte reads out loud with Germain, not as a parent or a teacher would, but with the allure of a snake charmer, skipping to the parts of the book “with action.” When Germain gets caught up in Camus, we see his imaginary point of view of rats piling up to die in graphic black and white, just as he sees his once suicidal friend get out his gun when Margueritte reads to him of a panther in the Amazon. It’s only his relation with his mother that Germain is able to see as symbolic: “It would be the same wherever I traveled; the distance is in my head.” Margueritte, on the other hand, tells Germain that indeed he has read The Plague, because reading is listening, and he’s an excellent listener. “On this earth we are but couriers,” she declares as she gives him the book to keep. “And if his mother never loved him?” Germain inquires. But you have to be able to spell a word to find it, and “labyrinth” takes Germain on an endless search! So he sticks to his familiar world, looking up the names of his friends and what he sees when he looks out the window. Useless — the dictionary doesn’t begin to offer him the varieties of luscious tomatoes he grows in his garden. It’s too late, he concludes to Margueritte, comparing himself to a near-sighted person putting on glasses for the first time and seeing only flaws and faults in the world. It was better blurry. It’s his biggest faux pas ever, for Margueritte, a woman whose “head is filled with shelves, and on the shelves, books, books, books,” is going blind. Germain sighs to his girlfriend, by now jealous and suspicious of the nonagenarian she’s never met, “What can I do — give her a pair of window wipers to clean up her vision?” As in any good story Germain would enjoy, there are surprises in store for those who turn the pages in this filmic tale of wonder, sadness, and love. In the tradition of Rohmer, writer-director Jean Becker enjoys dwelling in language, and My Afternoons with Margueritte is a valentine to words — their ideas, values, and sentiments — but also to Gisèle Casadesus, the actress whose delicious elocution of words in all their glory turns a semi-literate man’s head around (as it would anyone’s). The film is due to open in theaters in Los Angeles on June 17, 2011. Director: Jean Becker; Producer: Louis Becker; Screenplay: Jean Becker, Jean-Loup Dabadie, based on the novel by Marie-Sabine Roger; Cinematographer: Arthur Cloquet; Editor: Jacques Witta; Sound: Jacques Pibarot, Vincent Montrobert, François Grout; Set Design: Thérèsa Ripaud; Costume Design: Annie Perier Bertaux; Music: Laurent Voulzy. 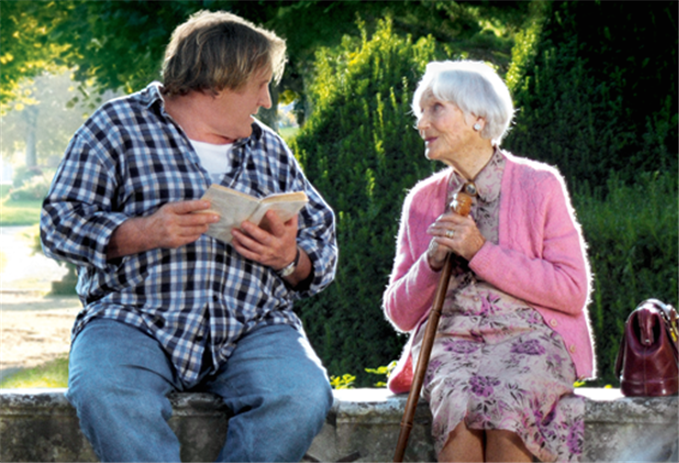 Cast: Gérard Depardieu, Gisèle Casadesus, François-Xavier Demaison, Maurane, Patrick Bouchitey, Jean- François Stévenin, Claire Maurier, Sophie Guillemin. Color, 35mm, 82 min. In French with English subtitles.